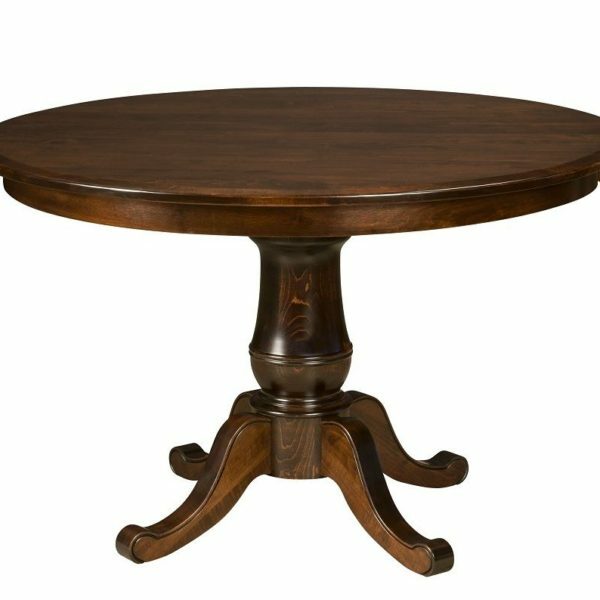 Category: All Kitchen & Dining, Dining Room Tables. 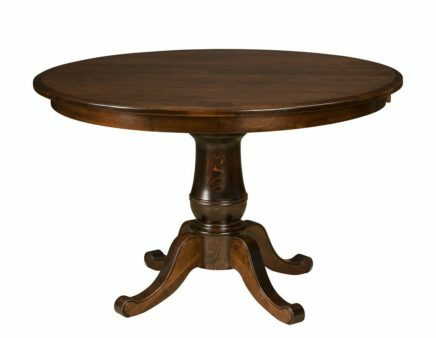 Our Chancellor pedestal dining table is perfect for family dinners and a great place to gather with friends for wonderful conversation! 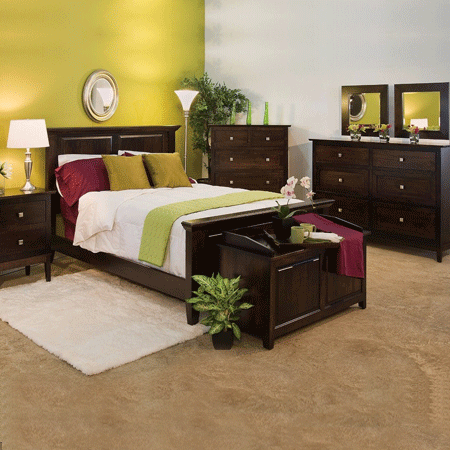 A classic elegant look that works so well with a variety of home decor styles. 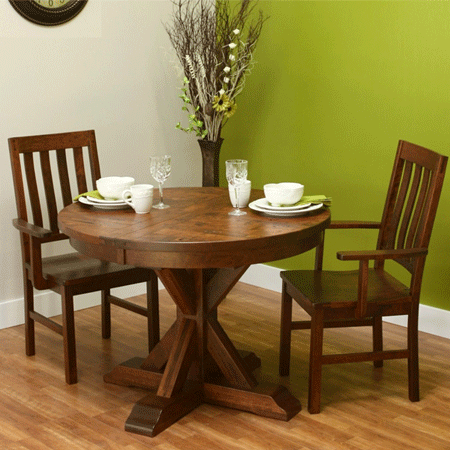 You can be sure our solid wood table will transform the look and feel of your dining area. 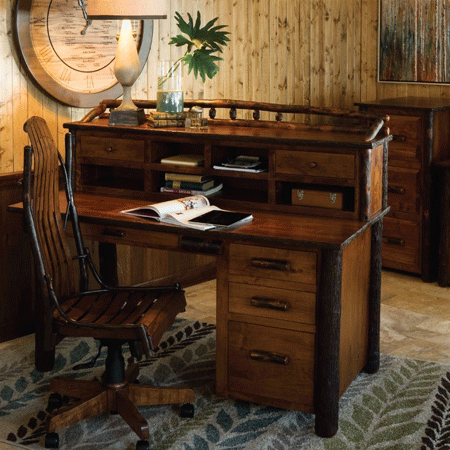 We are so proud to offer this exclusive line of outstanding furniture crafted by some of the finest woodworkers in the country. 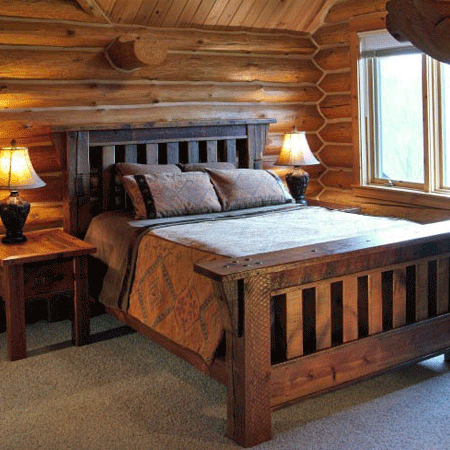 We are your Amish connection to the finest solid wood handcrafted furniture offered on the market today. 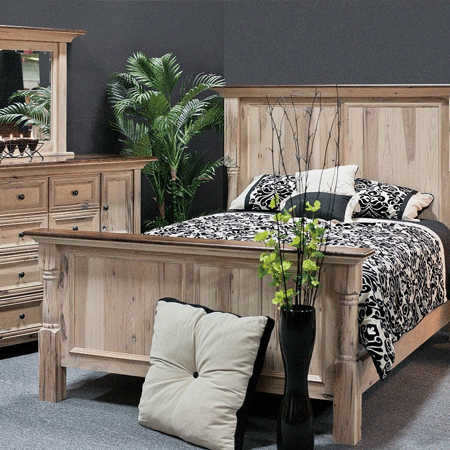 Outstanding craftsmanship is what you can expect with each and every piece of furniture that we offer. Each piece will be handcrafted just for you! 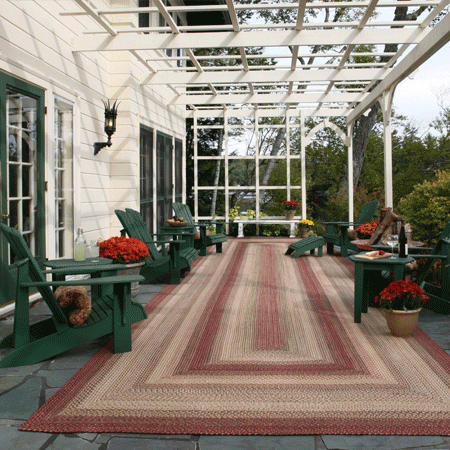 Northern Indiana is home to an extraordinary group of skilled Amish craftsmen. 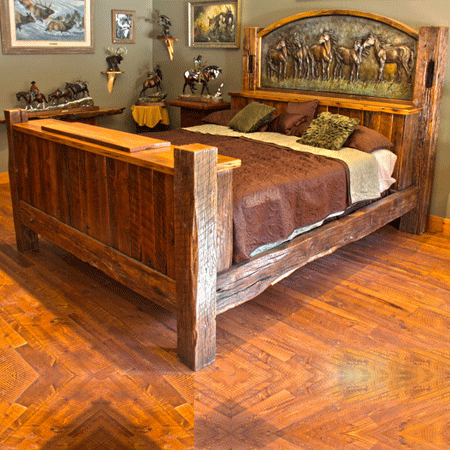 Among their day to day chores and travels by horse and carriage, lies the skilled trade of handcrafting exquisite furniture. 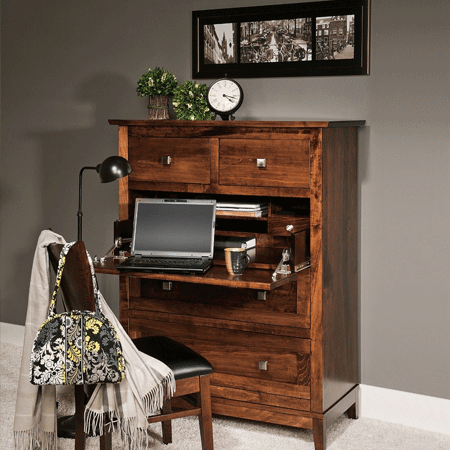 Handed down from generation to generation, their skills begin as young men and develop over years as they each begin to create their own look and feel of this distinct furniture. 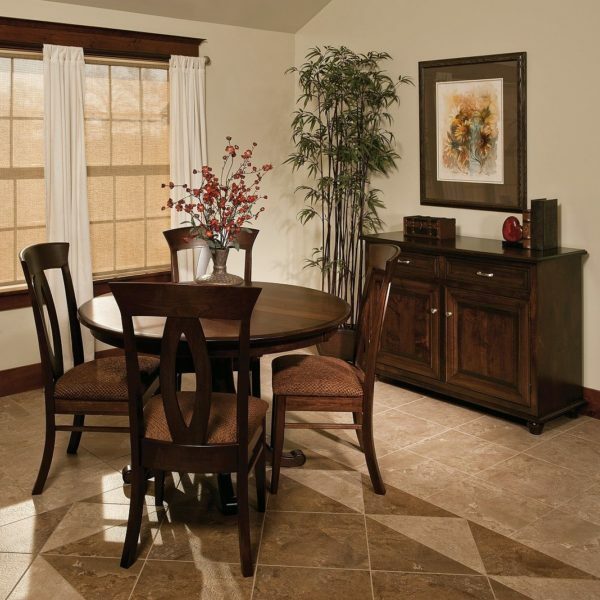 Void of electricity and the most common of necessities, they continue to forge their way in this competitive market and are able to remain in the forefront of the furniture industry. Enjoy this piece as they hope you will. Please allow 10-12 weeks for delivery. All items ship ground carrier, curbside delivery. For in-home, white glove delivery, contact seller.